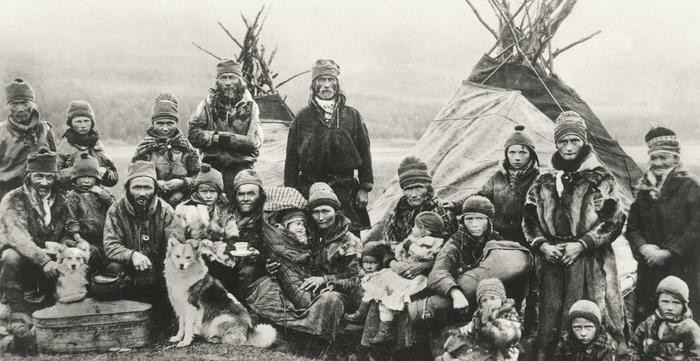 The Nordic American Voices (NAV) oral history program is one of several programs offered by the Nordic Museum for documenting the stories and history of Nordics and Nordic Americans, including those of mixed heritage. Since 1980, the oral history archive includes more than 900 oral history interviews captured on a variety of media, from audio tape to digital video. Many of these can be found along with their full transcripts in the Museum’s Online Collections, with new oral histories continuing to be added over time. The Nordic American Voices (NAV) oral history program builds upon the expertise gained in the 1999 – 2000 Vanishing Generation Project, when 123 interviews were recorded by more than forty volunteers. In 2001 the Museum, together with project partners the Ballard Historical Society and the Swedish Finn Historical Society, published the 289-page book Voices of Ballard: Immigrant Stories from the Vanishing Generation, which contained narrative renditions of more than 100 interview transcripts. 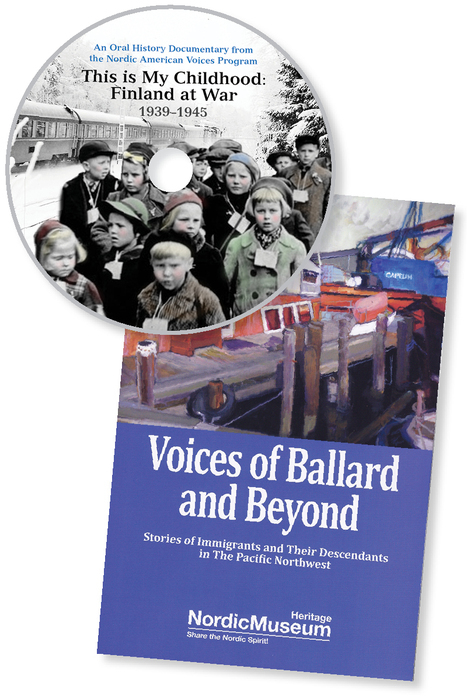 The most recent book published by the NAV project is Voices of Ballard and Beyond: Stories of Immigrants and Their Descendants in the Pacific Northwest, which is the result of a three-year effort by volunteers for the Nordic American Voices oral history project. Since 2009, this group of volunteers has recorded more than 709 interviews at the Museum and in locations throughout the Puget Sound region. Thirty-two stories gleaned from these interviews are included in the new publication, along with ninety-seven stories from the 2001 book. View excerpts here. This new publication follows the 2011 release of the video documentary Under the Clouds of War: Growing Up in Occupied Denmark and Norway, also based on interviews conducted by project volunteers. The book has received two awards: the 2013 Virginia Marie Folkins Award for an “exemplary historical publication” from the Association of King County Historical Organizations and a Washington Museum Association Award of Project Excellence. Copies of the book are available in the Museum Store for $19.95! Orders may also be placed by contacting [email protected]. A $5 shipping and handling fee will apply for delivery in the US; for multiple copies, additional shipping fees will apply. 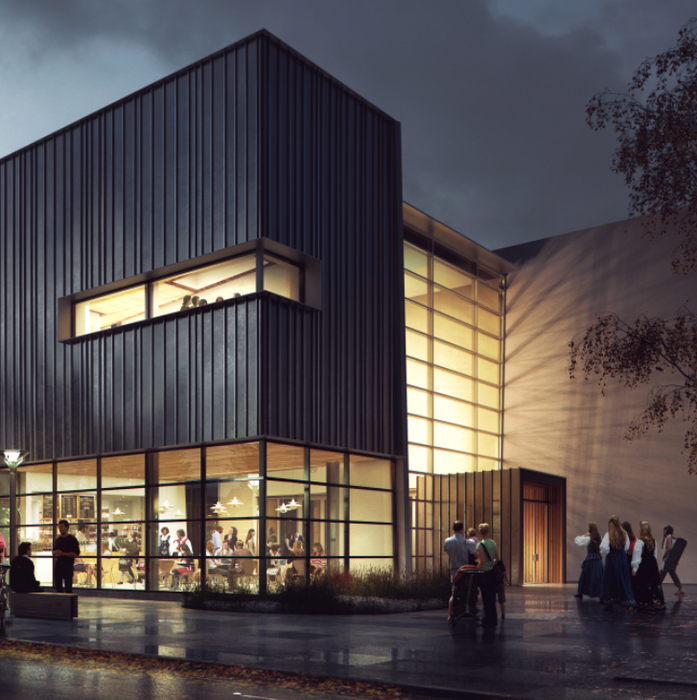 The Nordic American Voices program thrives with the assistance of many volunteers. The Nordic American Voices Steering Committee also seeks the community’s assistance in identifying interview participants and in conducting interviews. If you own a retail business and are interested in selling the book at your store, please email [email protected] for information about wholesale options.